Self confidence is the belief that you have in yourself and your abilities. It is the driving force behind delivering a great pitch or winning a client. A lack of confidence is something that a lot of women suffer from and honestly I have been there. I started to learn that expressing yourself is met with negative consequences so I stopped. I felt scared about telling ANYDODY about my desire to start a business. The more I spent time with my friend the more my confidence chipped away. 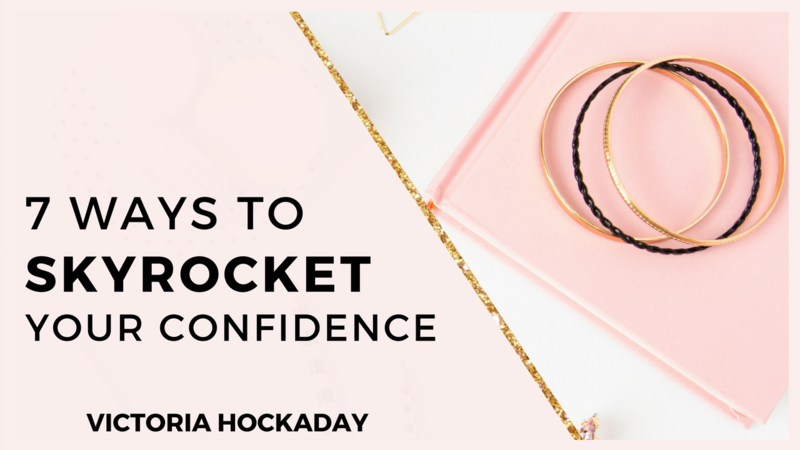 If you’re really suffering from low confidence right now I totally understand that and I have some tips to share with you to skyrocket your confidence! Let’s break down self confidence..
Self confidence is the belief that you have in yourself and your abilities. It is the driving force behind delivering a great pitch, sparking a conversation or winning a client. 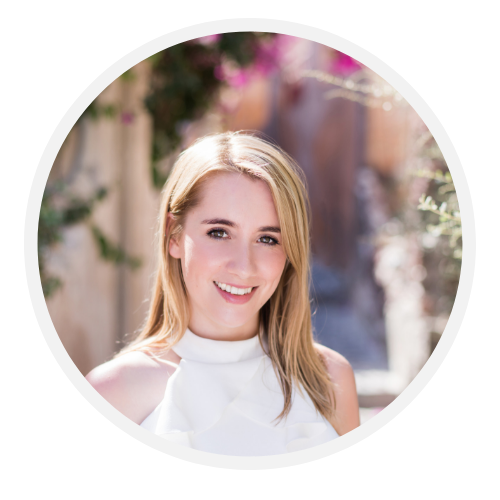 If you’re confident you’re able to inspire confidence in your audience, clients and friends. Self confidence can be broken down by self-efficacy and self-esteem. Self efficacy is the belief that you have in your ability to succeed in situations. It plays a MAJOR role in how you approach your goals. Say for example you want to publish a book, if you have high-self efficacy you”ll say to yourself “I’m a good writer”, whereas if you have low-self efficacy you’ll tell yourself “I’m terrible at writing”. If you have high self-efficacy you’re much more likely to achieve your goal of publishing a book. It’s this confidence that makes you push through when you’re facing obstacles. Self esteem is your general emotional evaluation that you have of our own self worth, self respect and self integrity. Some self help authors say that you can build your confidence through affirmations and positive thinking. Whilst there is some truth in that, the truth is that you’ll only ever skyrocket your confidence through experience. Here are 7 ways to skyrocket your confidence. Think about what you’ve already achieved and create an achievement log. Ask yourself, what are 10 things you’ve achieved in your life? This could be getting a job, delivering a successful project or increasing your sales figures. By looking at what you’ve already achieved it will highlight your competence. This will help you realise your strengths and remind you that you’re able to achieve your goals. Next time you’re facing challenges or adversity you can revisit your achievement log to remind yourself of your capabilities. When you start anything new it’s going to be scary. Think about the first job you got – how nervous were you?! A lot of female entrepreneurs fail because they don’t feel “ready” and they never start. If you have a calling to become a coach you have to start before you are ready. You have to embrace the fact that you’re going to make mistakes but that is where you’ll learn. If you have a calling you need to FOLLOW it. You have to learn to follow your HEART. So start with what is calling you, pay attention to it and take action. Launch your website, share your message or launch your flagship programme. Explore the passion that you’re called to! If you want to become a coach educate yourself through coaching programmes, online courses and of course google! When you’re ready to overcome fears, you can start putting yourself out there by building your visibility. We all have talents and abilities that come natural to us. These are our “zone of genius”. Ask yourself, what do I LOVE to do? What activities do I enjoy doing so much that time FLIES when I’m doing them? Perhaps you love writing and when you’re writing for 5 hours those 5 hours feel like 20 minutes! Thats your zone of genius – when you’re energised doing the things that you’re truly passionate about. This is compared to your zone of excellence, which are the set of abilities that you’ve learned to be excellent at. These often take longer and are more draining. Perhaps your zone of excellence is planning and its a skill that you’ve learn’t in your job? You’re great at it but you’re not thriving when you’re planning. Think of 3 genius zones that you love to do and dedicate more of your time to them.My zone of genius is coaching, creating and connecting. When I play to my strengths, I do my best work and I can guarantee that this will be the same for you. Your mind can be your own worst enemy. If you have self-doubt gremlins telling you that “I’m not enough”, or “I’m not capable”, do you think this will affect your confidence? The answer is simply – YES. If you’re feeding your self-doubt gremlins you’re only going to make them take over you and eat away your confidence. You want to shine a light on those gremlins so that you can break the habit of negative self-talk and stay focused on your zone of genius. Once you’re familiar with the patterns of negative self talk that occur when you go beyond your comfort zone, you can choose whether or not you make them important. Your goal is to stop feeding your self-doubt gremlins so that you break the downward spiral and focus on your vision. When you achieve your end goal you’ll become competent in your area of expertise. You’ll organically cultivate confidence through becoming more competent at what you do. To achieve your end goal, you want to keep your focus on the end result. Ask yourself, “what end result do I want to achieve?” Do you want to increase your following? Or perhaps you want to increase your sales figures? Focusing your attention on your end result will FUEL your body and mind into taking the necessary action. You don’t need to manipulate your mind that you’re confident, you only need to focus your attention on building competence and confidence will be the by-product. If you’re an over-achiever like me, you’re likely to have set BIG goals. Whilst it is all well and good to strive for big goals it can be counterintuitive. When you set unachievable goals you sabotage yourself through overwhelm, stressing yourself out and losing momentum. Instead, set small goals that are achievable so that you keep the momentum and persistence. Say that you want to speak to more ideal clients a week to increase your sales. Instead of aiming to speak to 20 people, which is too much of a stretch, aim for 10 people. You can also set a minimum goal that feels achievable to you and a stretch goal so that you’re pushed outside of your comfort zone. This could be a minimum goal of 5 people and a stretch goal of 10 people. 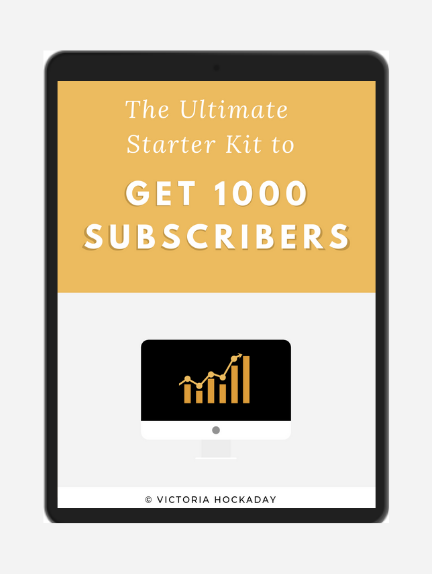 Setting stretch goals will help you feel inspired and EXCITED about achieving them. They’ll also force you to go beyond your comfort zone which is where your growth is. You can read more about soulful goal setting here. Jim Rohn once said “You are the average of the 5 people you spend time with”. This is SO true. The people you spend your time with has a MASSIVE impact on your confidence. You pick up on their thoughts, feelings, beliefs and habits through emotion contagion. Spend some time reflecting on your inner circle and ask yourself “do my 5 people embody self-confidence?”. If they don’t, start cultivating new friendships and relationships that see your greatness and embody the confidence you desire. It’s your time to move forward and take ownership of your life.